Home » Study Abroad » Why Study Abroad? Surveys indicate employers are interested in graduates who can think globally. Participating in a study abroad program is one of the the best ways to discover the full meaning of intercultural competency and to experience critical thinking in a global context. 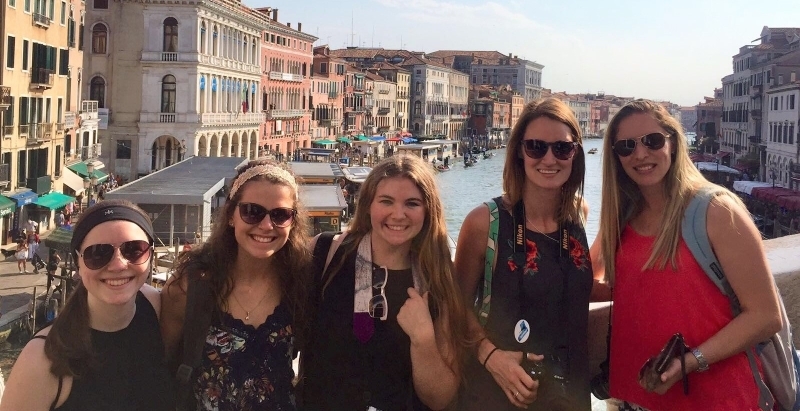 Davenport University provides these kinds of opportunities through its study abroad programs, enabling students to study almost anywhere in the world from three weeks to one year. Students can study about finance in London, experience 5,000 years of tradition in China, tour multinational corporations in Germany, learn about global economics amid the diverse flora and fauna in Kenya, or learn Spanish in Costa Rica. Davenport’s international programs will continue to expand into areas relevant to all students. Whether their interest is in Medical Spanish, International Business, or simply to understand other people and perspectives, study abroad is something all students should consider.